Pack Pricing Mix-n-Match only in pack sizes. Description: Every child has a deep, inborn love for his father and mother. 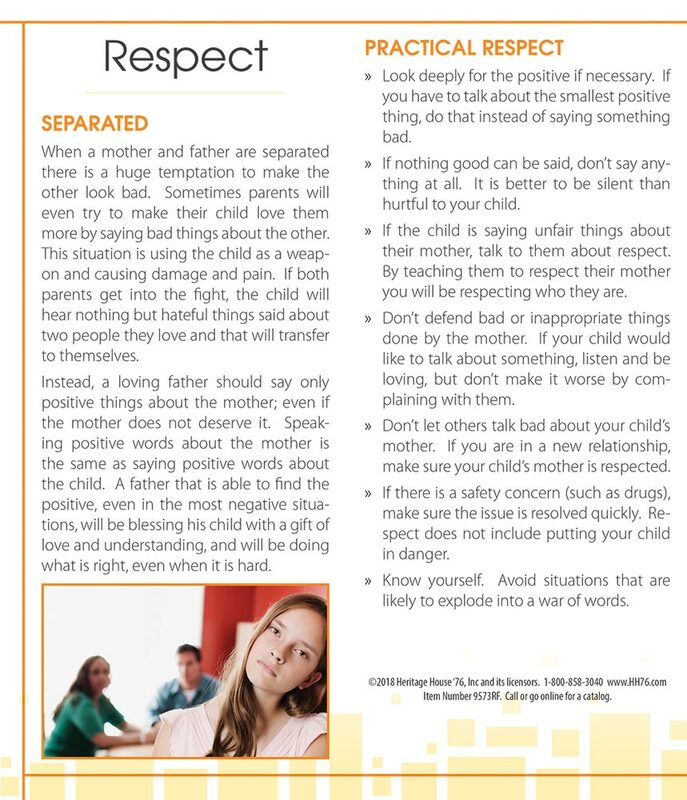 If a child hears negative comments about his/her parents they will feel it as criticism of themselves. 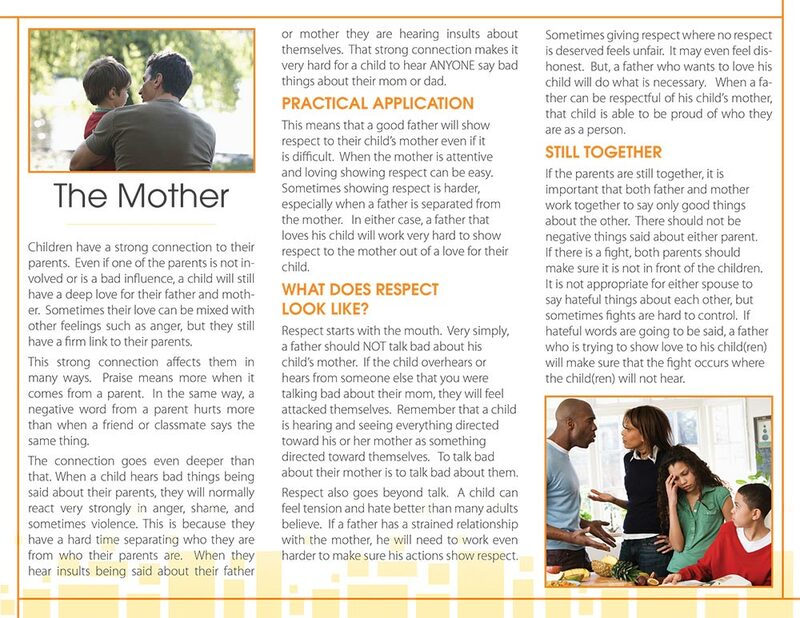 This brochure makes a compelling argument to fathers that saying anything bad about their children’s mother is destructive to all involved. The content is a realistic call to fathers to rise to the occasion of fatherhood and leave negative and hateful comments behind. Easily read and understood.